Last weekend I headed to Cheshire Oaks to attempt to start my Christmas shopping. In my defence, the good intentions were there, but I did end up buying myself gifts, rather than anyone else (oops!). One of my favourite stores are Cheshire Oaks is the Yankee Shop. I pop in every time we visit and always manage to pick up so bargains and this trip was no exception. I actually did pick up some Christmas presents, which I haven't featured, but my best buy was easily this Celebrate Large Jar. The large jars are priced at £19.99 normally, but I picked this up for £13.99 - which is an absolute steal. 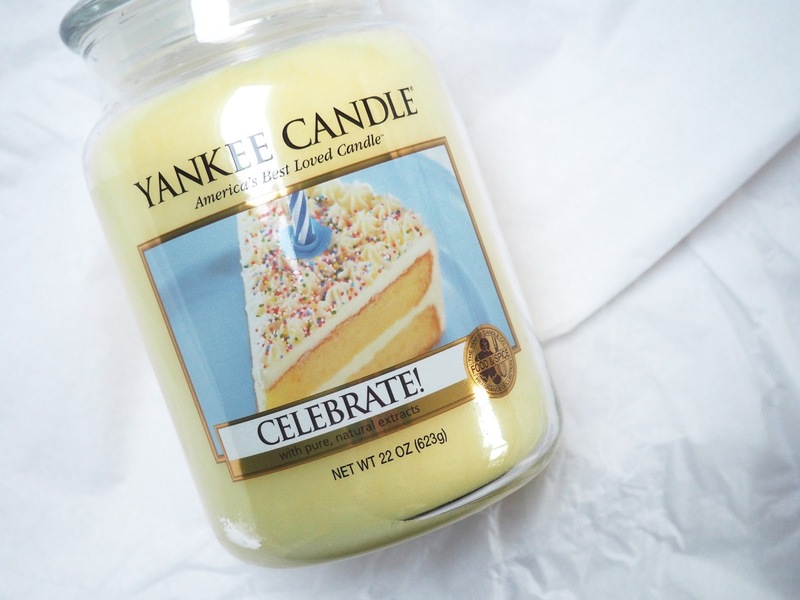 I was completely drawn straight to the cake images as I love the sweet smelling Yankees. Bearing in mine Snowflake Cookie is my absolute favourite scent from Yankee, this smells really similar. It's a sweet cake-bater scent with a little added spice. There is something really nostalgic about this candle. It kind of reminds me of birthday parties as a child and everyone getting together to celebrate - which I guess is the idea. I will certainly be burning this in the run up to Christmas, to get me in the mood for family times on the 25th. 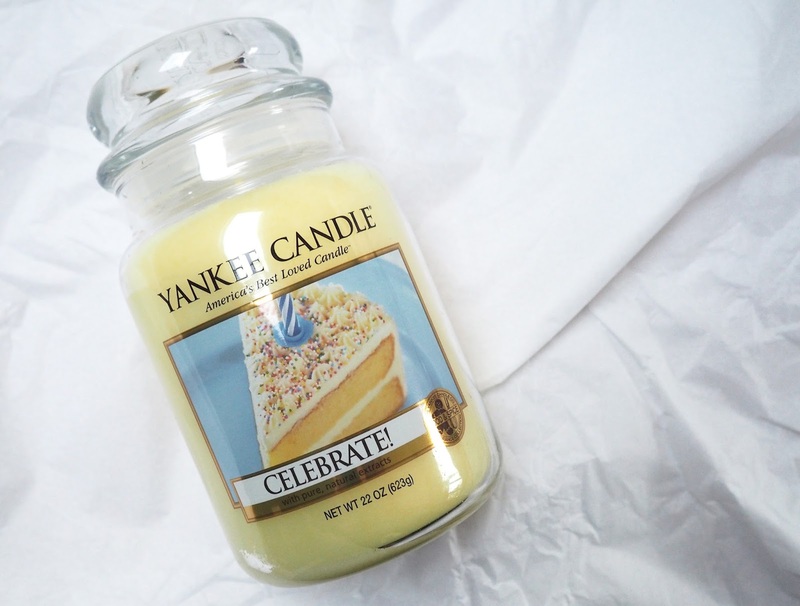 What's your favourite Yankee scent?